Luckystar is a Policy Officer in the African Institutions Programme. Before joining ECDPM, she worked as the Tax Power Campaign Africa Coordinator at Action Aid International, where she led development of, coordination and delivery of pan-African campaign actions, events and mobilisation activities within 15 African countries. 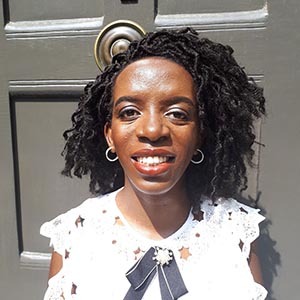 Through her work, Luckystar has written a number of informative articles and reports and managed research publications on various topics related to taxation and fiscal policies. She has spoken on several panels on taxation, Illicit Financial Flows and Financing for Development in Africa, Europe, the United States and Asia at various international conferences and other forums. She holds a Master’s degree (Distinction) from the Università Cattolica del Sacro Cuore- ASERI in Milan, Italy. She is also an MSc in Taxation student at the University of Oxford-Oxford, United Kingdom.